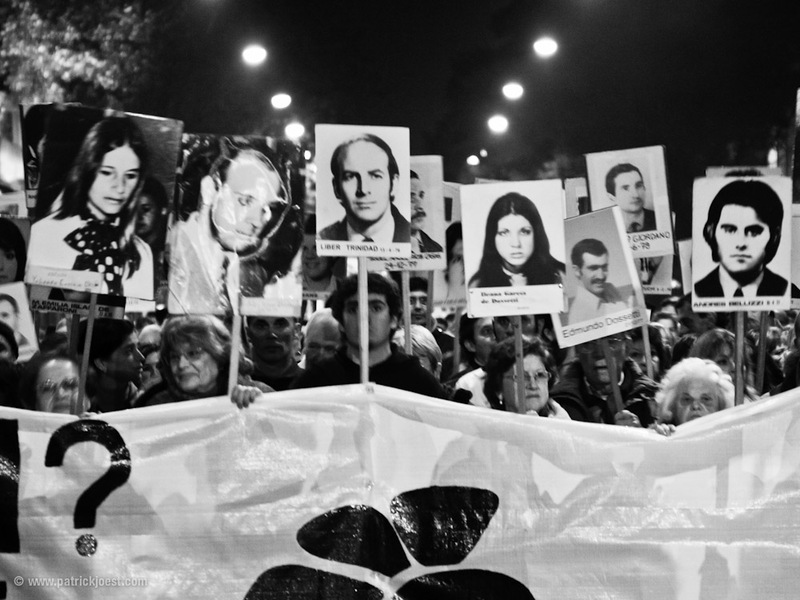 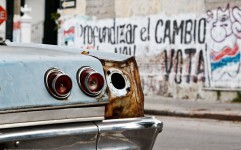 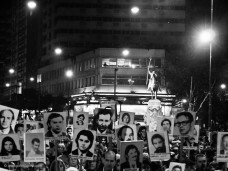 During the military dictatorship 1973-1985 thousands of people “disappeared” in Uruguay. 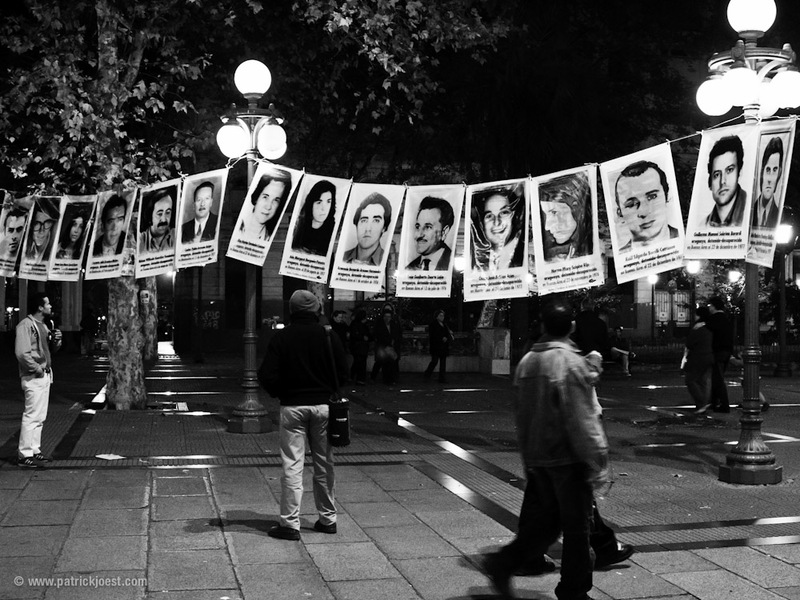 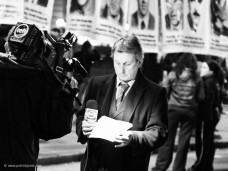 Until today the disposition of many of these political prisoners is unclear. 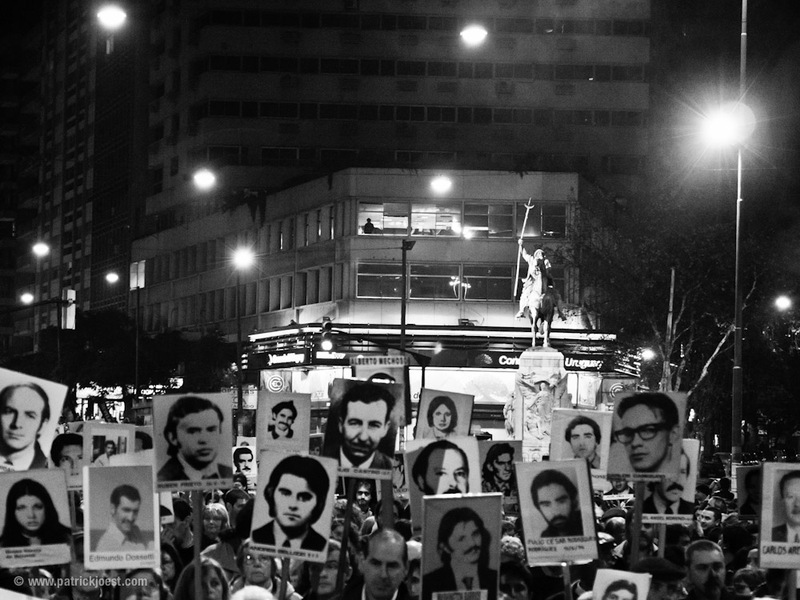 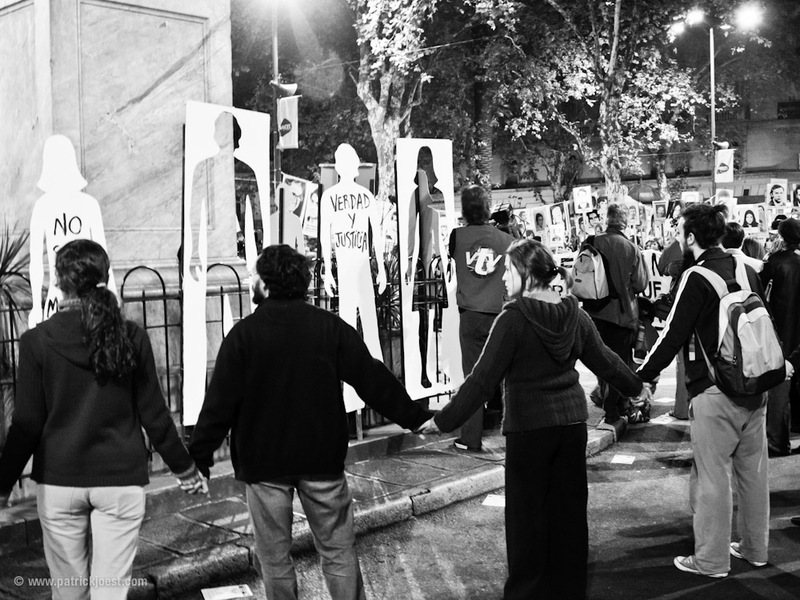 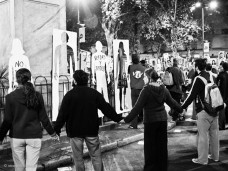 For the first time a group of mothers came together in 1995 to march in silence through the center of Montevideo carrying photos of the “Desaparecidos” (span. 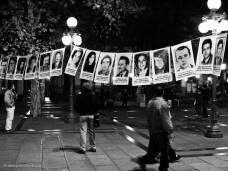 disappeared). 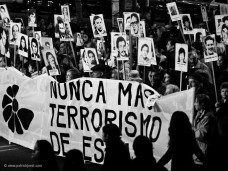 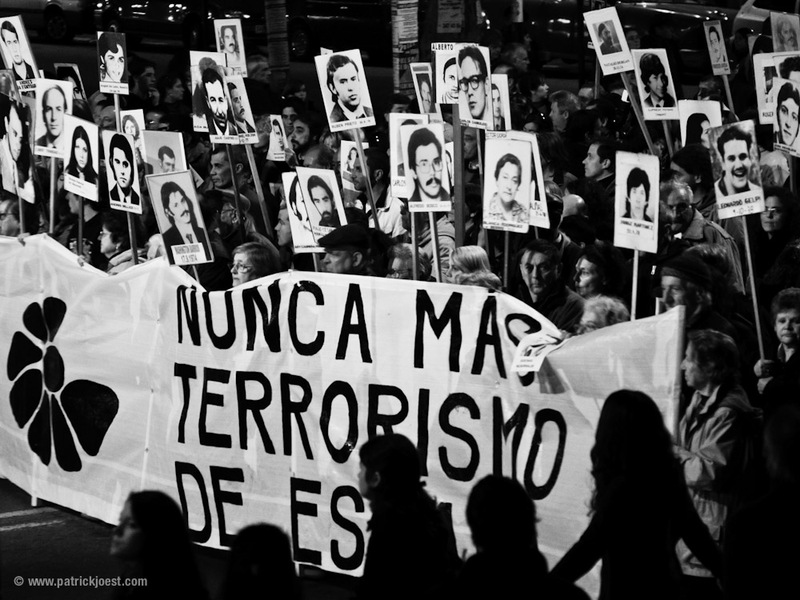 “Nunca mas terrorismo de estado” – No more state terrorism. 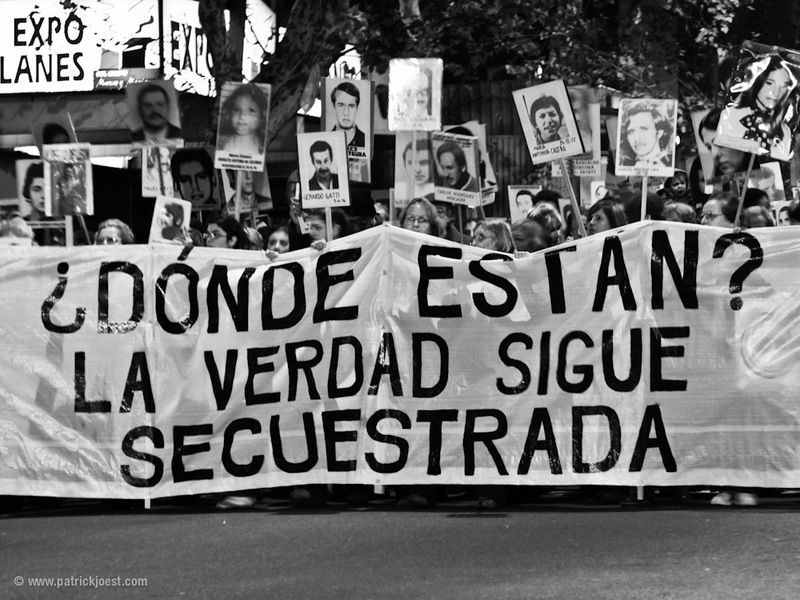 “Donde están? 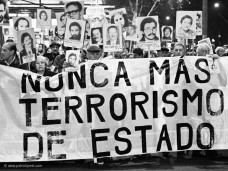 La verdad sigue secuestrada” – Where are they? 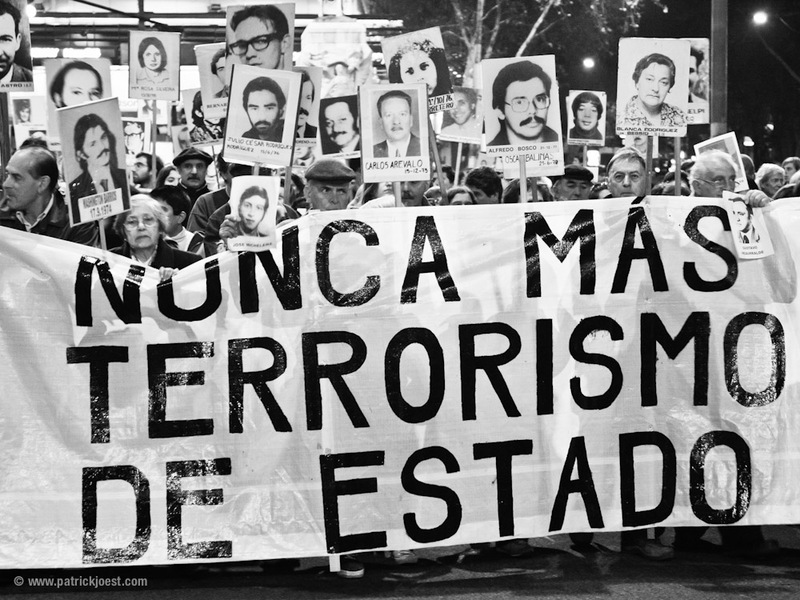 The truth continues to be kidnapped. 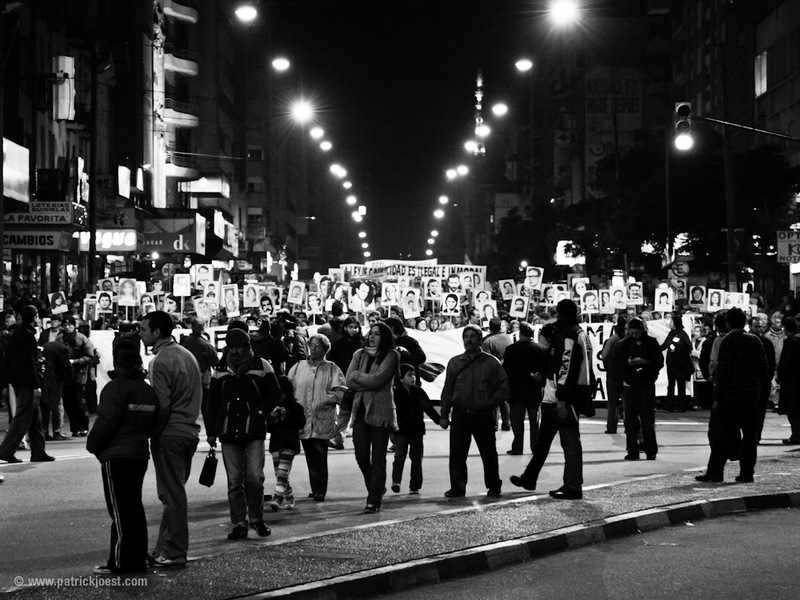 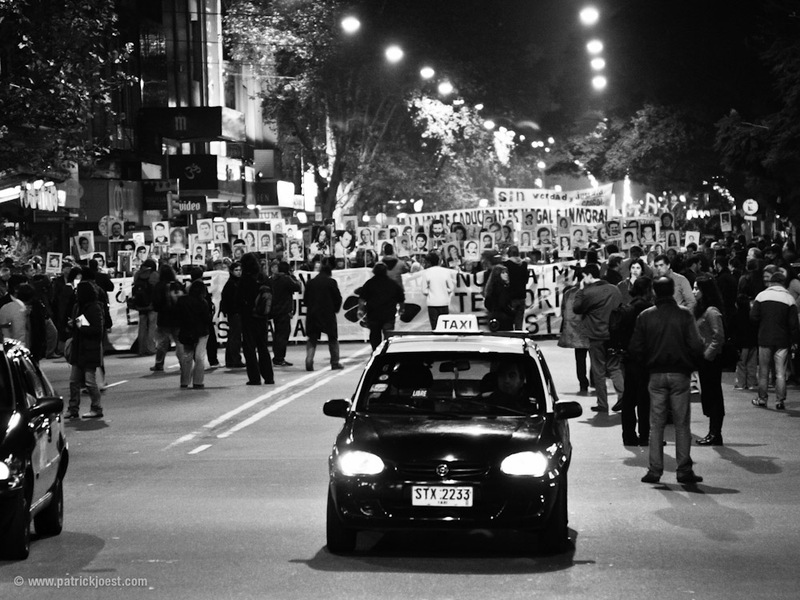 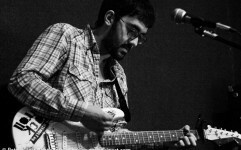 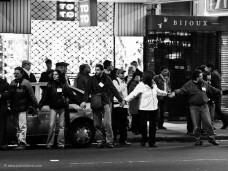 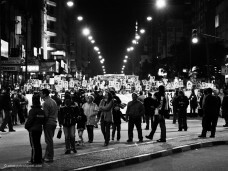 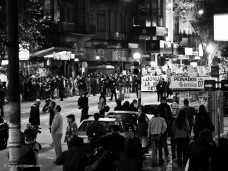 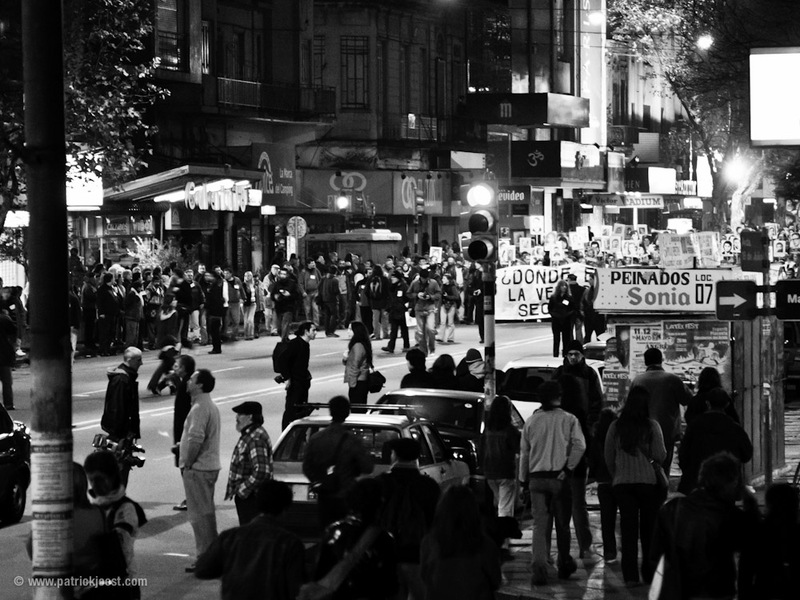 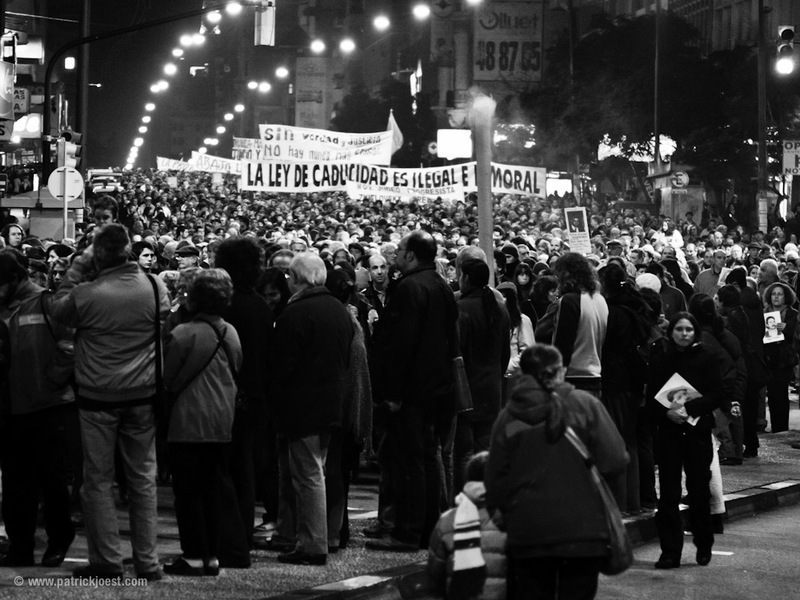 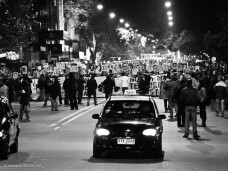 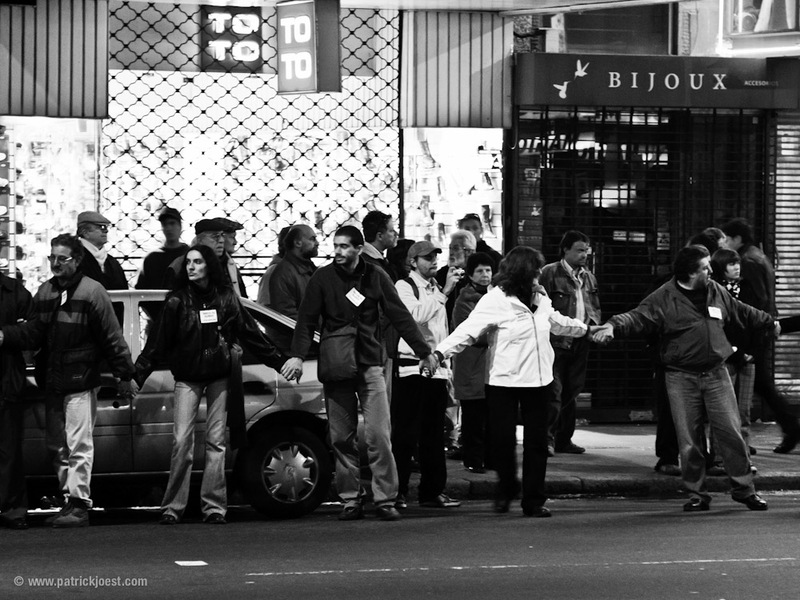 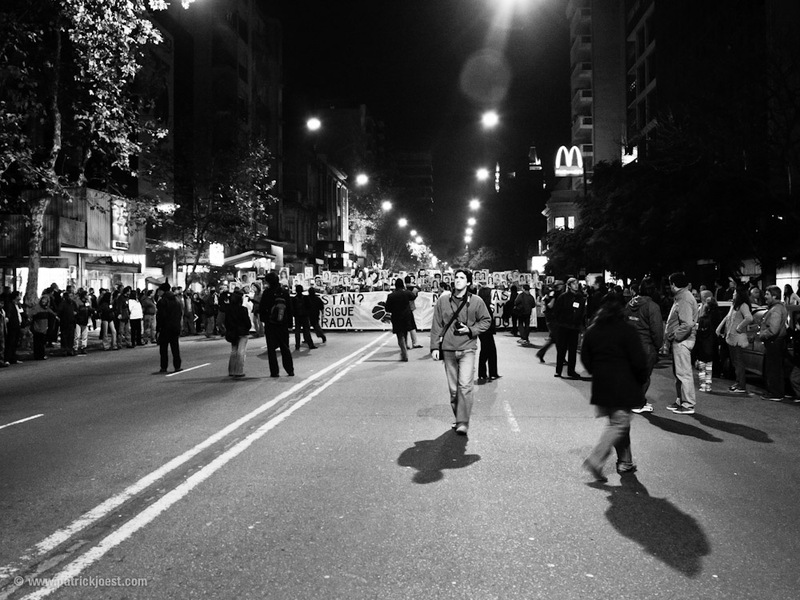 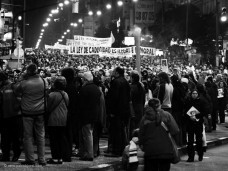 Tags: b&w, black & white, City, Latin America, Montevideo, Photography, Reportage, South America, Uruguay.